Chelsea manager Jose Mourinho has claimed that both Manchester United and Arsenal are yet in the race for the Premier League title. Chelsea go into their weekend fixture a home to Stamford Bridge six points ahead of second-placed Manchester City, and with an outstanding game. The west London outfit are favourite for the title, but Mourinho feels the defending champions Manchester City, as well as Arsenal and Manchester United, are still in the race for the title. 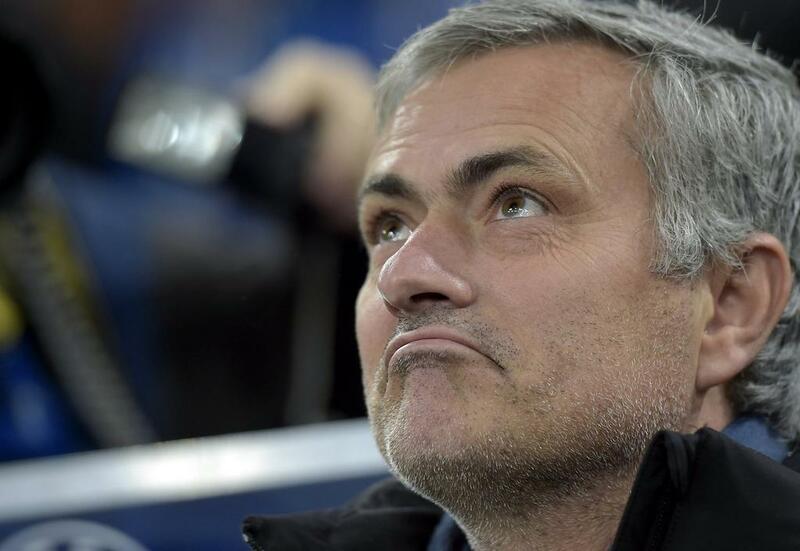 “Four (teams) now,” Mourinho quipped in his press conference at Cobham on Friday afternoon. “Look at the points difference. You have to say four now. Not five , because there’s a gap from fourth to fifth and, with eight matches to go, that’s a difficult game from first to fifth. Chelsea have won six of their last 10 Premier League games. Their remaining matches include home games against United and Liverpool and away to Arsenal. The Blues have already won a silverware this season in the League Cup. Third-placed Arsenal are locked in a top four battle with Liverpool- placed fifth- at the Emirates Stadium on Saturday, while United take on Aston Villa a Old Trafford. Jose Mourinho Believes Arsenal and Man United are Still in Premier League Race. Image: CFC via Getty. Vitali Klitchko Eyes Ukraine’s Presidency in 2015. Odemwingie Completes Stoke City Switch.